For me, this is the most amazing performing art by far. It is beyond “Sound and Light” show. I bought this DVD+CD set of this show, but found this clip on YouTube, so I can share it with my friends far and near. Make sure that you set your player to best quality (1080P) to watch it. This is incredible. NASA has just released a never-before-seen video of a solar eruption from July of last year that shows a solar flare, a coronal mass ejection, and loops of solar rain all occurring in one breathtaking sequence. There appears to be a speculative discovery that has been made by French explorers that is being considered a monumental discovery. 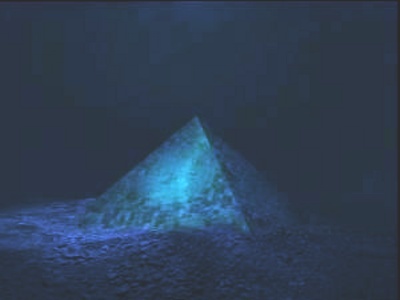 It is believed they discovered a partially translucent, crystal-like pyramid rising from the Caribbean seabed— its origin, age and purpose are completely unknown at this point. The picture below is fascinating. 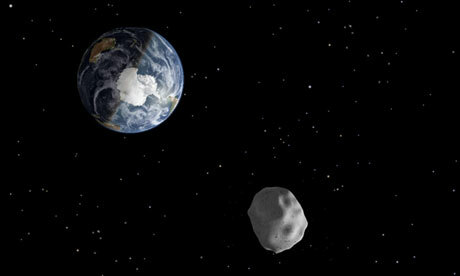 On Friday evening asteroid 2012 DA14 skims closer to our planet than any other known asteroid. Although invisible to the naked eye, binoculars can bring the space rock into focus. Or simply watch the webcast. Space rock 2012 DA14 is only 50 metres across. It will pass the Earth on Friday evening (UK time) just 17,100 miles above our heads. There is no danger of a collision. Nevertheless, this is closer to the Earth than many artificial satellites. It will pass from the southern to northern hemisphere and set the record for the closest pass of any known asteroid since systematic surveys of the sky began in the mid-1990s. According to Don Yeomans of Nasa's Near-Earth Object Observation Programme, an asteroid like 2012 DA14 flies this close on average only once every 40 years. Moscow (CNN) -- A meteor streaked through the skies above Russia's Urals region Friday morning, before exploding with a flash and boom that shattered glass in buildings and left hundreds of people hurt. The number of injured continues to rise as new reports come in from across a wide area. A functioning prototype of revolutionary airship is undergoing tests south of Los Angeles. A US company is developing a series of gigantic heavy-payload dirigibles with an innovative ballast system that mimics that of a submarine. ­The ‘Aeroscraft’ – developed by Worldwide Aeros – more resembles a spaceship from the 1986 sci-fi movie ‘Flight of the Navigator,’ instead of a classic 20th-century zeppelin. Though the Aeroscraft uses the same basic principles as blimps did 100 years ago, it’s as different from its ancestor as a Boeing 787 Dreamliner if from the Wright brothers’ plane. According to the engineers who developed Aeroscraft, the airship is a considerable advance in aviation technology. The new airship has potential to carry cargo more efficiently than any other aircraft, and could revolutionize long-range hauling in near-future. Foster + Partners, in conjunction with the European Space Agency (ESA), has undertaken a study to explore the possibilities of using 3D printing to construct lunar habitations on the moon’s southern pole (where there is near perpetual sunlight). 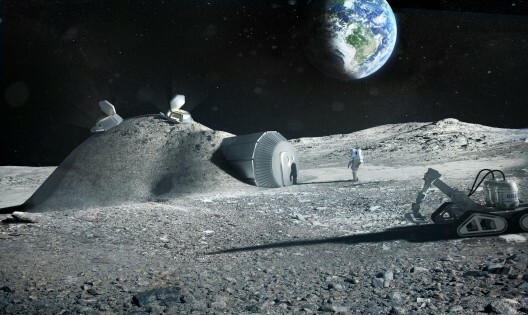 The firm has already designed a lunar base that could house four people, and has begun to test the structure in a vacuum chamber that echoes lunar conditions. The study will also address the challenges of transporting materials to the moon, and is investigating the use of lunar soil, known as regolith, as the potential building matter. I mean, don’t they have a climate control weapon or “something” which they proudly showcased during the Beijing Olympics? How come they don’t use it NOW? They should use it to wash the hazardous PM2.5 down while they are still in Chinese territory. Zhao Jialin, a blogger on Sina Weibo, a Twitter-like microblog site, tweeted: "Thank the government for making this effort to solve the problem. It is a Chinese New Year gift from them to the people." As I mentioned before, China should seriously consider to slow down their current pace of motorization, put extremely high tax on all vehicles using fossil energy and encourage their people to switch all vehicles to EV or Hybrids, and better yet, go back to bicycles like they used to! A Dutch architect is planning to construct a Möbius strip-shaped house using the world's largest 3D printer. Landscape House, designed by Janjaap Ruijssenaars of Amsterdam firm Universal Architecture, will contain around 1,100 square meters of floorspace throughout the twisted structure. The 3D printer -- which can "print" objects as large as six meters by nine meters using a mix of grinded-down rocks or sand, held together with a liquid binding agent -- has been designed by Italian roboticist Enrico Dini. Dini has been printing huge objects with his printer for a couple of years, but this will be the first building that he's produced that's actually designed to be occupied just like any other. For a house that will be a solid whole, without any visible seams, a Möbius strip makes perfect sense as a design shape. Young Dutch artist Berndnaut Smilde's clouds are real, made by controlling moisture and using smoke machine, according to the photography magazine Vignette. The video “Death Valley Dreamlapse” shows one team’s trek to the Eureka Dunes on Dec. 13, 2012, to catch the peak of the Geminid meteor shower. ” … we had to conquer epic climbs, sand roads with the 4×4 Jeep, and the occasional UFO,” Sunchaser Pictures writes on the video’s description. UFO or not, this clip is absolutely beautiful and intriguing. 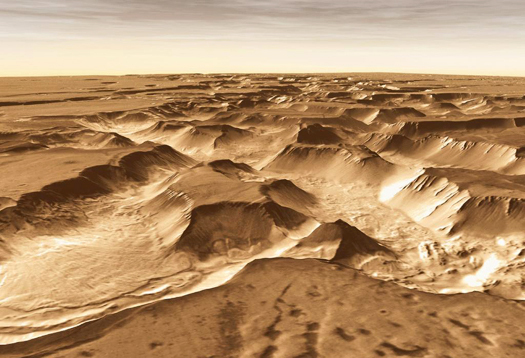 Up to half of all life on Earth consists of simple microorganisms hidden in rocks beneath the surface and for some time scientists have suggested that the same may be true for Mars. 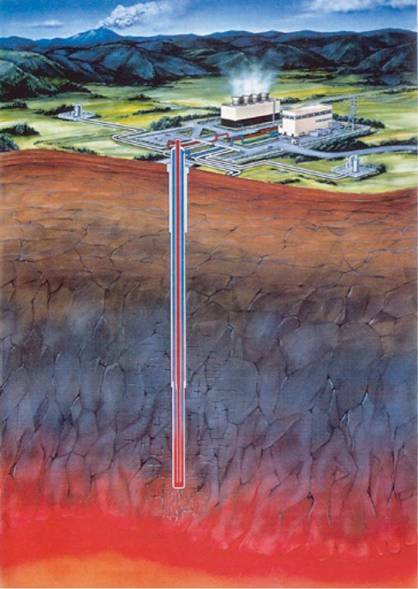 Now this theory has been supported by new research, which suggests that the ingredients for life have been present in the Martian subsurface, a zone of more than three miles below ground, for much of the planet’s history. When meteorites strike the surface of Mars, they act like natural probes, bringing up rocks from far beneath the surface. Recent research published in the journal Nature Geoscience shows that many of the rocks brought up from the Martian subsurface contain clays and minerals with a chemical make-up that has been altered by water, an essential element to support life. Critics are blasting a draft U.N. climate change report that combines studies by advocacy groups like the World Wildlife Fund and Greenpeace alongside scientific research papers -- the same issue that led independent auditors to slam the U.N.'s last report. “You'd think that the IPCC would have learned its lesson, that it would have told its authors not to rely on these sorts of publications,” said Donna Laframboise, the head of nofrakkingconsensus.com , an investigative website skeptical of the scientific consensus on global warming. The documentary will tackle both the military and civilian side of drone technology, exploring how the military trains drone pilots at the Holloman Air Force base in New Mexico, as well as the role drones will play in domestic law enforcement. There are controversies in both of these worlds. Are drone strikes in accordance with international law? Are they killing too many civilians? "We’ve entered an era where we’re conducting an array of operations using unmanned systems that in a previous generation we would have called war, and we would have treated like war," Peter W. Singer, an expert in the future of warfare, says in the documentary. "When you’re conducting more than 300 air strikes in a country, you’re conducting an equivalent of at least an ‘Air War’ campaign. But we don’t call it that now." On the civilian side, most of the questions are related to privacy and security. Can citizens' privacy be respected when there are thousands of eyes in the sky? "I think anybody that can use a device to peer into your activities even if it’s the air outside your window or the air above your property, I think there is a right to privacy," Rep. Rand Paul tells NOVA. "The worry is that in two [to] three years we will have 30,000 drones crisscrossing the sky accumulating all this information." Do you remember the film clip called “Power of Ten” released back in 1977? I was so mesmerized by that film and watched it over and over again. Well, this graphic tour somewhat resembles that idea, only updated and very much fun to click through. Mona Lisa in space: NASA sends masterpiece to moon probe with laser. NASA has successfully beamed a digital image of the Mona Lisa to a satellite near the moon with a laser, part of an effort to upgrade communications with active spacecraft. TWO MOST IMPORTANT VIDEO CLIPS YOU MUST SEE!! Highlighting the fact that a global switch to renewable energy is not just necessary, but doable, a new report released by the WWF concludes that the solar arrays necessary to meet all the world’s projected energy needs in 2050 would cover under one percent of global land area. Obviously this is a theoretical exercise, and 100 percent of the planet’s electricity needs are not actually going to be filled through solar. But several credible scenarios suggest that solar could provide about 30 percent of global total electricity in 2050, up from the 0.1 percent it provides now. U.S. officials grounded Boeing's new 787 Dreamliner because the aircraft's advanced batteries appear to be malfunctioning. But what's the problem? And can it be fixed? To reduce weight on the plane, Boeing relied heavily on lithium ion batteries -- the same type found in mobile phones and laptops. Can it be fixed? Fixing the fire issue is obviously the main problem. 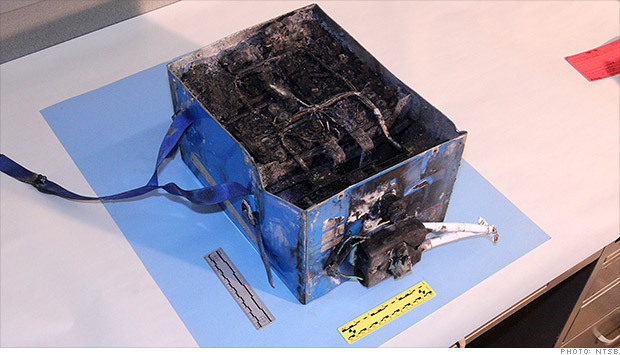 Boeing chose a particularly risky type of chemical makeup in its lithium ion battery, one that provides more power but does not stand up well to overheating. "Boeing made a conscious design decision, and is now paying the price," he said. An amateur prospector in the Australian state of Victoria has astonished experts by unearthing a gold nugget weighing 5.5kg (177 ounces). OMG, it looks like something Organic!!! No, Graph Search doesn't affect your privacy settings, but it surely makes digging up information about you really easy. Now's a REALLY REALLY good time to review what you're sharing and how you're sharing it. Your data. Easily accessible to friends AND…. In the new search bar, a Facebook user can search for something like, "Friends who like 'Star Wars' and cooking." Immediately, Facebook will dig through that user's friends' likes and interests to find relevant matches. Facebook doesn't magically know which of your friends like these things, it will simply use the data they provided. These are just a couple examples of how Facebook will use the data you willfully surrendered to make its new search tool effective and accurate, but Graph Search goes beyond just Likes and music history. Everything -- I mean, everything -- you've shared with friends on Facebook will be contributed to the index. No matter how subtle the piece of information, friends can and will dig it up using Graph Search. So, let’s get to it! RIGHT NOW!! Shall we?